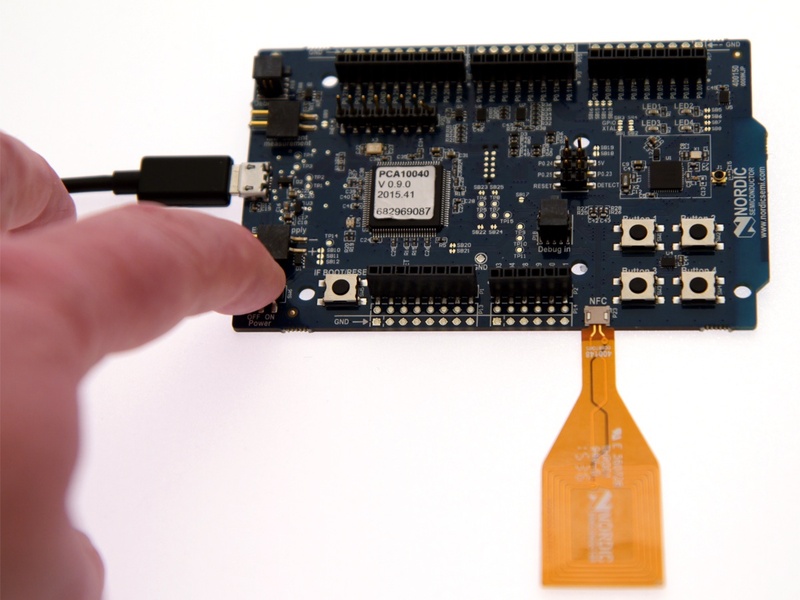 Before you begin, download the latest compatible version of the nRF5 SDK. For information about which SDK supports which IC revisions, check the compatibility matrices. The nRF5 SDK contains precompiled HEX files of the most common examples. Extract the zip file into a folder of your choosing. Connect one end of a micro-USB 2.0 cable to the USB connector on the board and the other end to one of your PC's USB host ports. Observe that LED1 starts blinking. 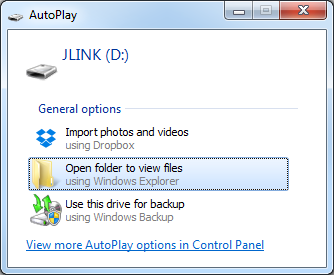 Open a file explorer and confirm that the development board has appeared as a removable drive named "JLINK". In the folder where you extracted the nRF5 SDK, navigate to examples\peripheral\blinky\hex. Select the HEX file that corresponds to your development board and copy it to the JLINK drive. The development board will now restart and run the application. If the LEDs on the board start blinking, you have successfully programmed your first application! Next, continue to set up your development toolchain and program a more advanced application.